Over the course of our history, we have helped recover millions of dollars in settlements and awards for our plaintiff clients. Although we cannot promise specific results in your case, we can guarantee that we will fight hard to protect your rights and interests and aggressively pursue the most favorable outcome on your behalf. 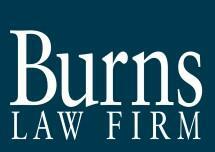 To begin the process of securing the finances you need to cover your medical bills, lost wages and other damages associated with your accident, you can schedule a free evaluation of your claim by contacting the Burns Law Firm. Along with free initial consultations, we operate on a contingency basis, so you will owe us nothing unless we win your case and obtain compensation for you.